When you work around a game set during an apocalypse all day it’s got to get you thinking: ‘What would I do if the world ended?’. There’s a lot going on this week, to keep on top of things be sure to read our comprehensive E3 2018 guide. 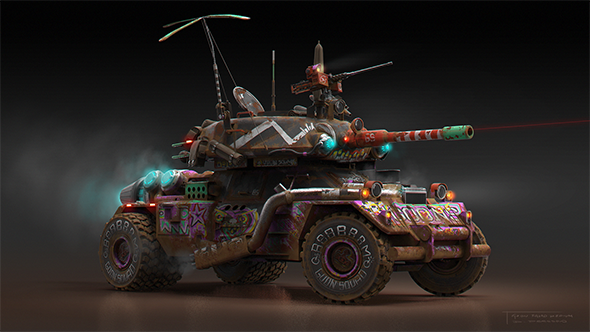 With any luck, Nedfors won’t have to use his bug-out van before Rage 2’s release date in spring next year, because the game is looking great and I’d like to spend at least a week driving about its wasteland before having to adopt a new life as a flesh-eating cannibal bandit. How well-prepared is #RAGE2 game director Magnus Nedfors for the apocalypse? Well, he once built his own bug-out vehicle! I’m a huge fan of Avalanche’s games – the Just Cause series grows wilder with each new entry and its take on Mad Max was beautiful. So having the studio collaborate with id on a game which is basically Mad Max with more colour, both figuratively and literally, is excellent news.